According to the National Highway Transportation and Safety Administration (NHTSA), compared to the miles driven, those involved in motorcycle accidents are 35 more times likely to die as a result of the accident. It doesn’t take a rocket scientist to know that if you are on a motorcycle and you are in an accident, the injuries from that accident are going to more likely be much worse that if you were not on the motorcycle. A person is more likely to have a much more severe injury such as death, spinal cord injury, traumatic brain injury if involved in a motorcycle accident than one would have if in another type of accident. According to the NHTSA, over 98% of persons involved in motorcycle accidents will sustain an injury. 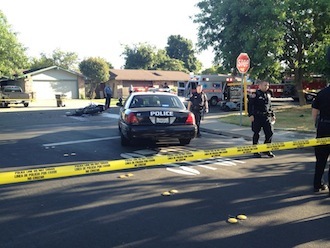 If you or someone you love has been injured in a motorcycle accident, please call a Modesto motorcycle accident lawyer like The Bogan Law Firm, A Professional Corporation.